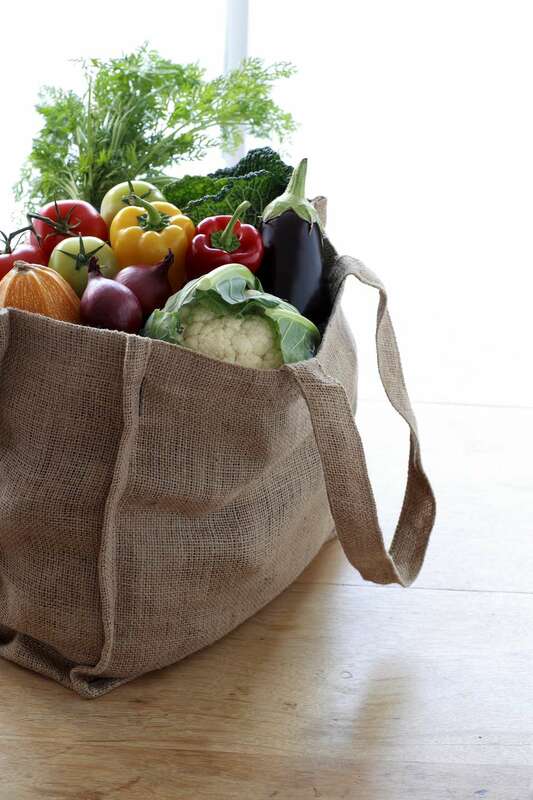 Tote bags are used everywhere and have gained in popularity as everyone started to realize just how heavily our shopping bag habit is impacting our landfills and environment. Sewing your own tote bags is a great way to assure strong, durable bags that are much more durable than any plastic shopping bag! A simple tote bag pattern can also be a great first time sewing project. Free sewing pattern for this simple tote bag. The directions for this simple tote bag include a variety of sizes. Using lightweight nylon keeps the bags compact to have extras packed away in your luggage for the inevitable extras you come home with. This pattern is easily changed to match your own needs. If you've never ​sewn before this is a great first-time project. See Through, Breathable, Screen Beach Bag. 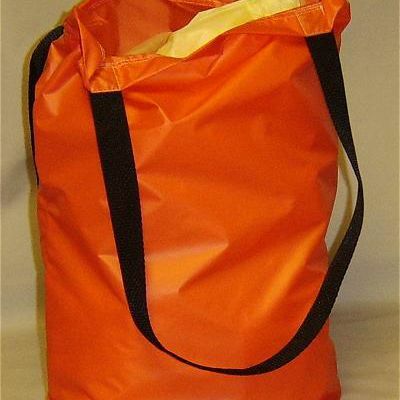 This breathable bag is perfect for the beach because the sand sifts out of the bag and allows things to dry inside so there is less "sour" laundry after a fun day. The see-through bag may even be less cumbersome for security at airports. Stylish, Durable Tote Bags Made with this Free Pattern. This bag is strong enough to carry an armload of books and just big enough for an overnight getaway. Follow these step-by-step directions to create the bag in the colors and prints you love. Two Tone Tote Bag with Pockets. These step-by-step pattern directions for this tote bag will guide you through adding pockets to the outside and show you the possibility of inside pockets in the simple-to-sew lining. A great tote bag for on the go or a day out, which eliminates you juggling a bunch of bags. Collection of Fabric Drawstring Gift Tote Bags. These simple to sew drawstring tote bags can be made in any size. They are the perfect way to have reusable gift wrap on hand, stopping the need to waste the inks and glossy paper harming the environment. Be on the lookout for post-holiday fabric clearance sales to stock up for the next year. You'll have a stash of gift wrap in no time, and your wrapping will be a gift in itself! Free Pattern to Sew a Full Sized Back Pack with Pockets and Padded Straps. One of the easiest ways to tote anything is with a backpack that leaves your hands free. This free pattern shows you how to sew a backpack with two exterior pockets, one that is a pouch style pocket with an elastic top and one that is a flat pocket. It also has two side pockets which are a great way to carry water bottles. The straps combine a padded fabric with webbing straps for adjusting. The combination makes a way to comfortably carry a load without cutting into your shoulders and they are adjustable. Stylish, Durable Tote Bags Made with this Free Patterns. This bag has the strength and durability to carry an armload of books every day and the colorful style to be a great carry-all type of bag. The outside of the bag features pockets all the way around the bag and the lining has a secure zipped closed pocket. The step-by-step directions will guide you through everything you need to create a great tote bag that will carry anything. Free pattern to sew a duffel bag. This bag is so versatile you'll want a closet full of them so you are ready for anything. Add embroidery or appliques to make this common bag unique and easy to spot on an airport luggage turn style. When you are using a walker to assist your mobility, your hands need to be firmly holding on to the walker, not juggling a pocketbook or tote bag at the same time. Carrying something while you use a walker is near impossible! This bag, with pockets, securely attaches to the walker so some independence can be maintained. Laundry Bag from a Pillowcase. Turn those mismatched, extra pillowcases into a great laundry bag. They fold up nice and compact in luggage for a weekend adventure or summer camp, yet they expand to hold a slew of dirty laundry... and the bag can even be tossed in with the laundry... What could be more perfect? This one is a super quick and easy project! Bag Made Using Free Versatile Pocketbook or Tote Pattern. If you still haven't found the perfect tote bag to fit your needs, explore more pocketbook, purse and bag patterns. The possibilities are endless when you sew! This bag features square details, a square bottom, and wide sides, which makes it easier to pack your groceries and less likely to squish fragile grocery items. This grocery bag pattern is a simple to sew, durable way to carry groceries and not add plastic shopping bags to the environment. Nap kit with a draw string bag. A nap kit isn't a tote bag but this kit includes a drawstring bag to hold all the parts of a nap kit. Make the entire kit or just the bag in any fabric that suits your needs.